The Former Executive Secretary of Ayedire local government and Senior Special Assistant to Governor Rauf Aregbesola, Hon. 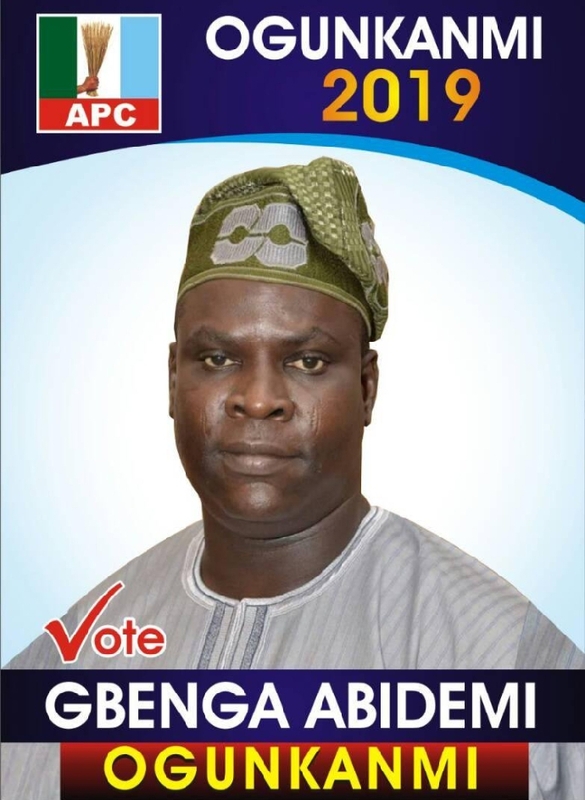 Abidemi Gbenga Ogunkanmi has promised the people of Ayedire state constituency rapid development if elected to the State House of Assembly in 2019. 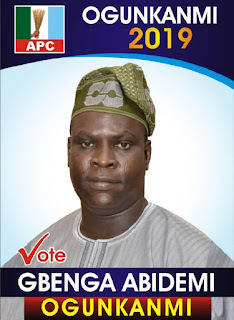 Ogunkanmi made the statement while speaking to newsmen shortly after his screening as an aspirant for Osun State House of Assembly under the platform of the All Progressives Congress at the state secretariat of the party in Osogbo on Friday. The aspirant promised to pursue laudable bills that will aid good governance and the development of his constituency. Ogunkanmi also pledged to ensure even development and fast track adequate government presence in the communities. He also called on political leaders at all levels to have the fear of God and the love for the people in their activities. Urging leaders to use power fairly and justly, Ogunkanmi stressed the need for politicians to be accessible to the people instead of living in fortress of power that detaches them from the reality of the people. “Leadership is all about service to the people and there are numerous examples in developing the society. He called on his colleagues to show greater commitment to peace, unity and tolerance in order to create harmony and understanding in the country. He said unity was a condition for building a formidable nation, adding that without unity, a country is politically vulnerable.